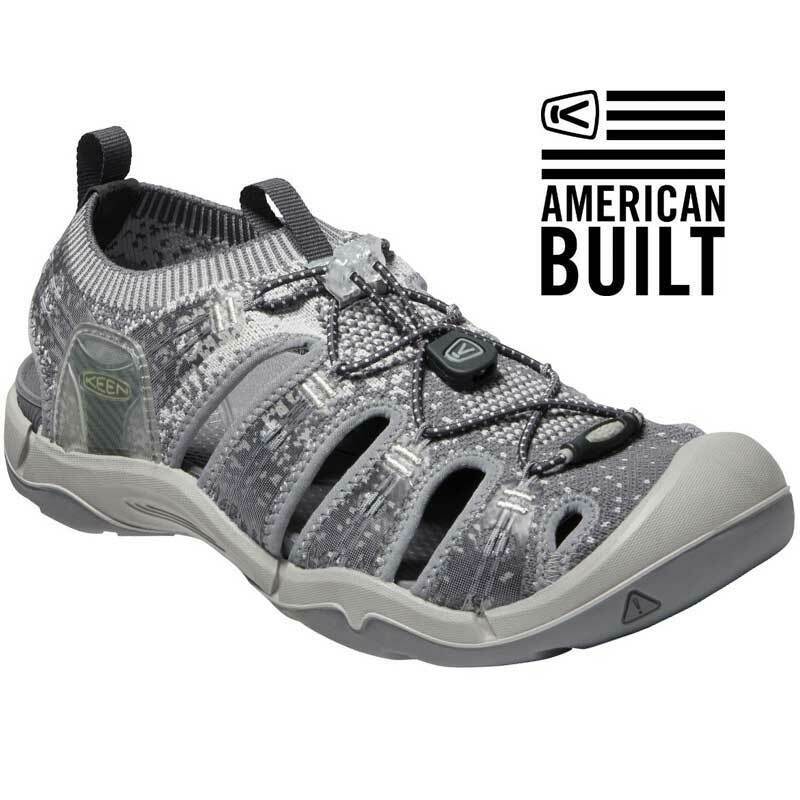 American built durability and Keen technology come together in the Keen Evofit sandals. Theses men's sandals have an upper made of quick dry Keen engineered synthetic material with a performance lace system that’s easy to use and ensures a secure fit. A removable metatomical PU footbed with arch support will keep you comfortable while Keen’s Cleansport NXT™ provides natural odor control. You also get added support from the PU midsole. The outsole of the Evofit is made of grippy rubber and it features multi-directional lugs with razor striping for ultimate traction. From the trail to the street, the Keen Evofit sandals will give you the comfort you need to keep going all summer long.